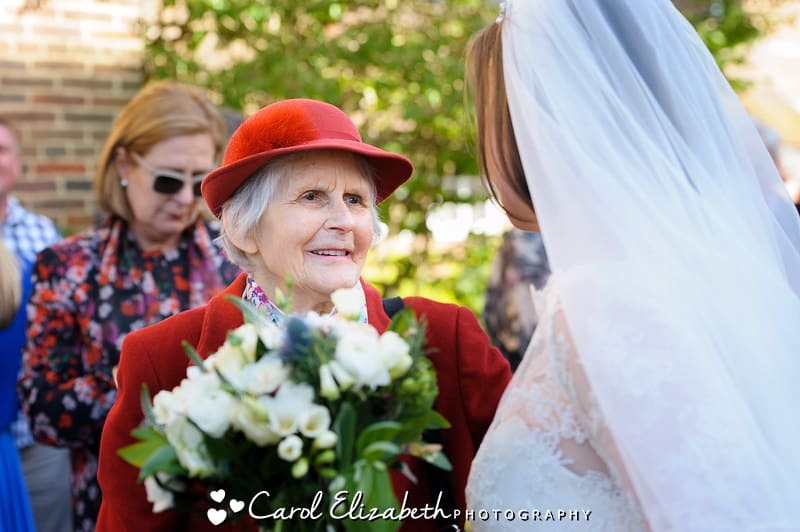 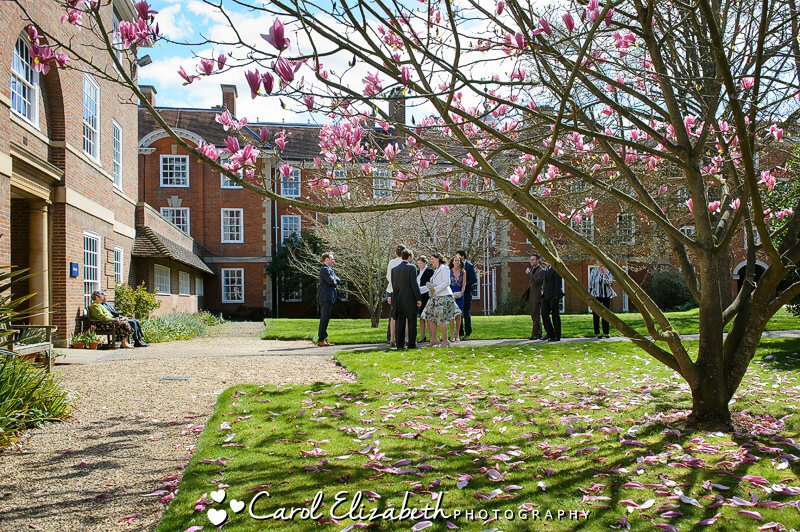 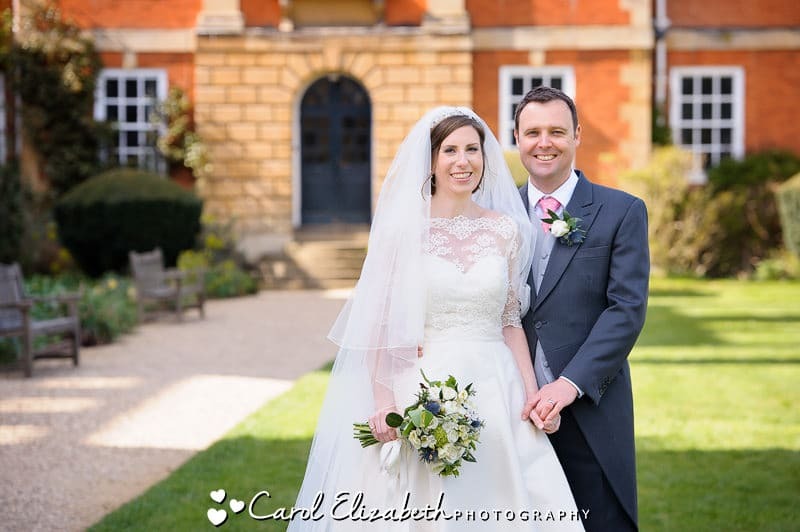 I was delighted to be asked to be Carrie and Robin’s Oxford University wedding photographer for their wedding at Lady Margaret Hall. 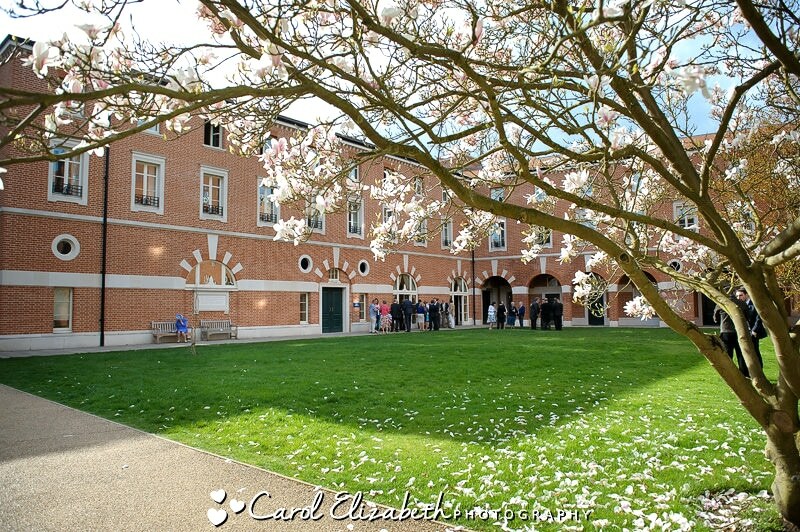 There aren’t many occasions more wonderful than a spring-time celebration at such a beautiful location. 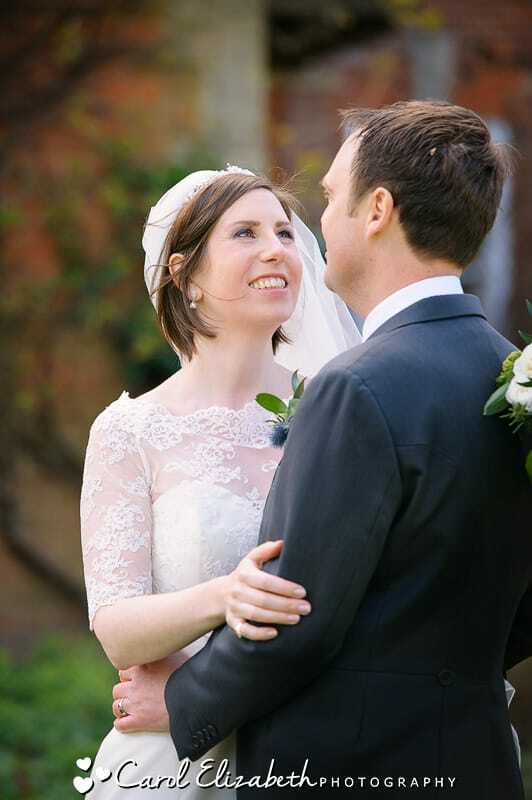 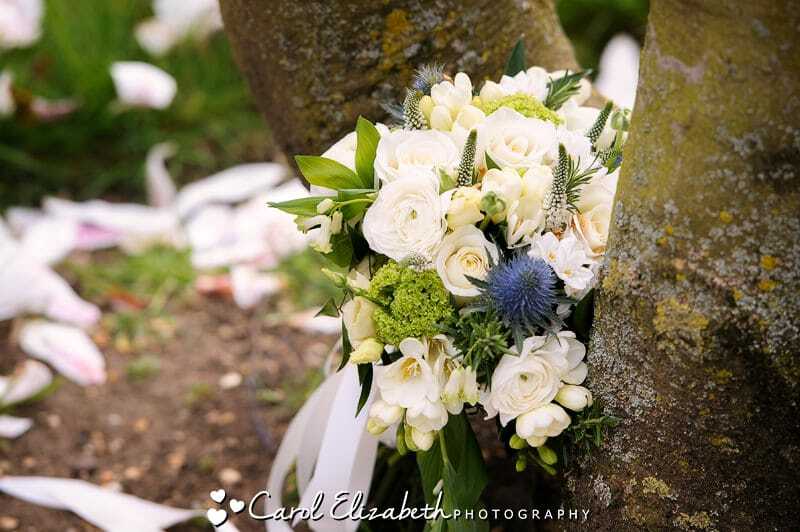 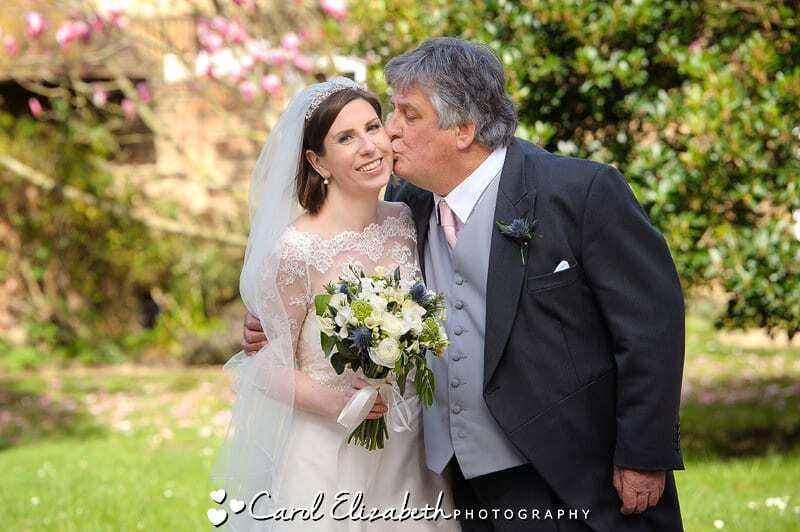 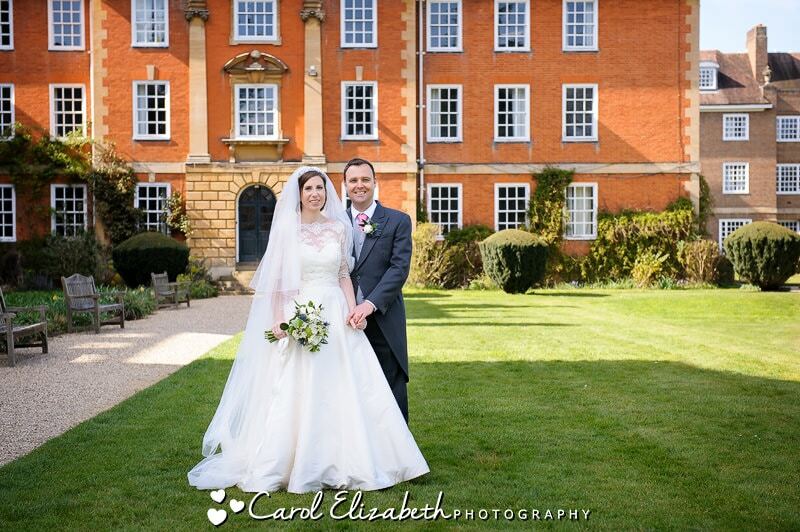 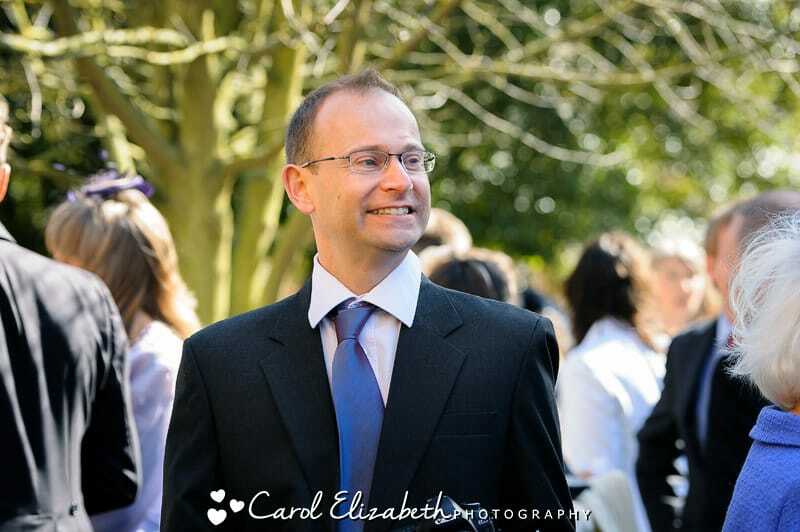 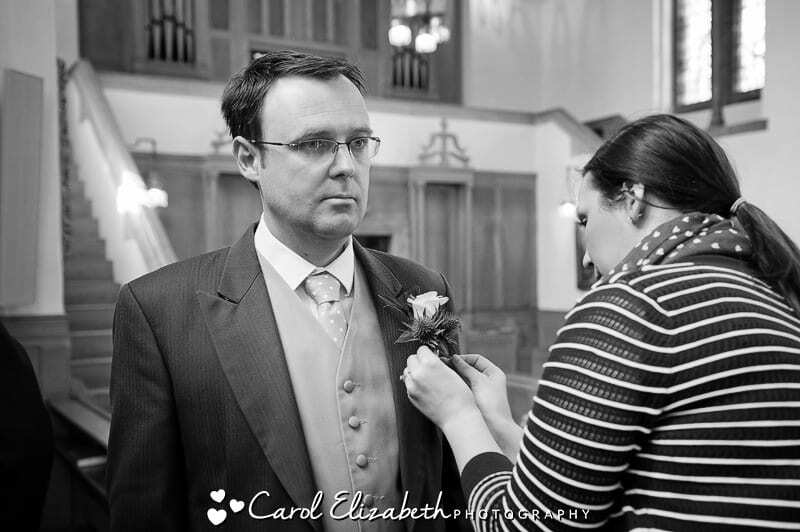 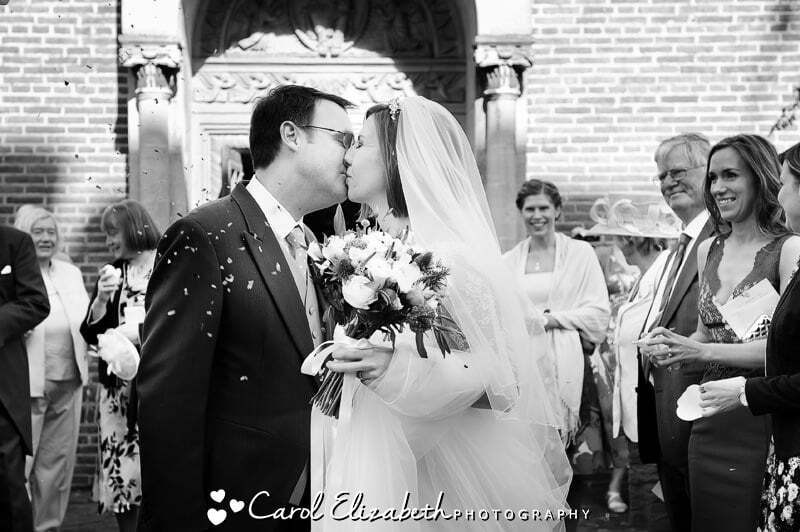 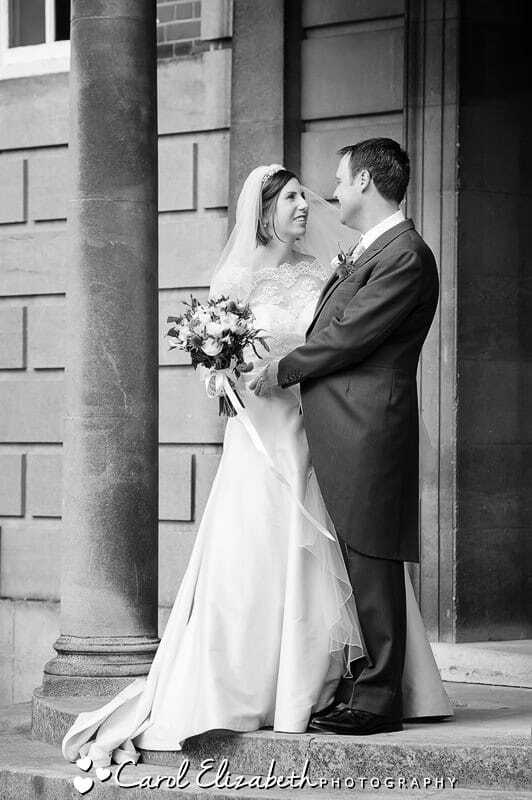 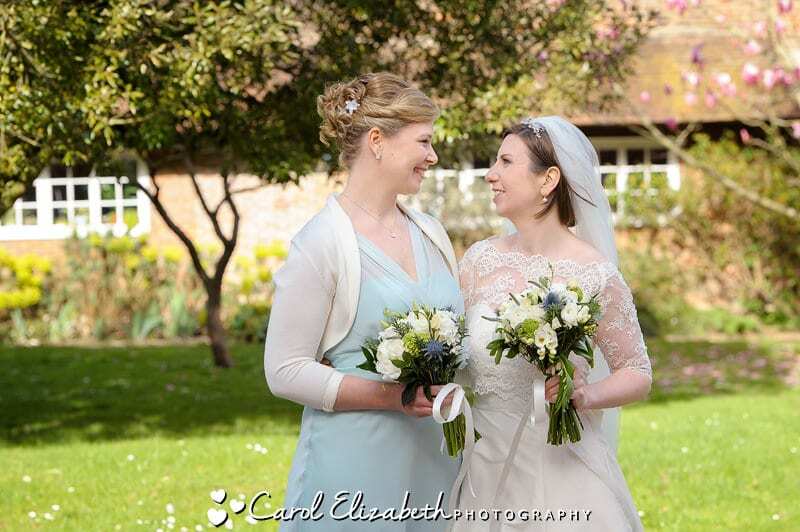 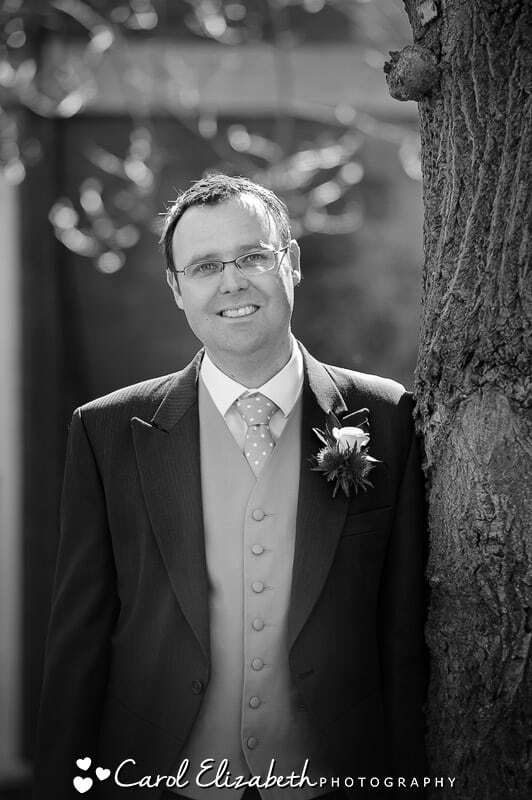 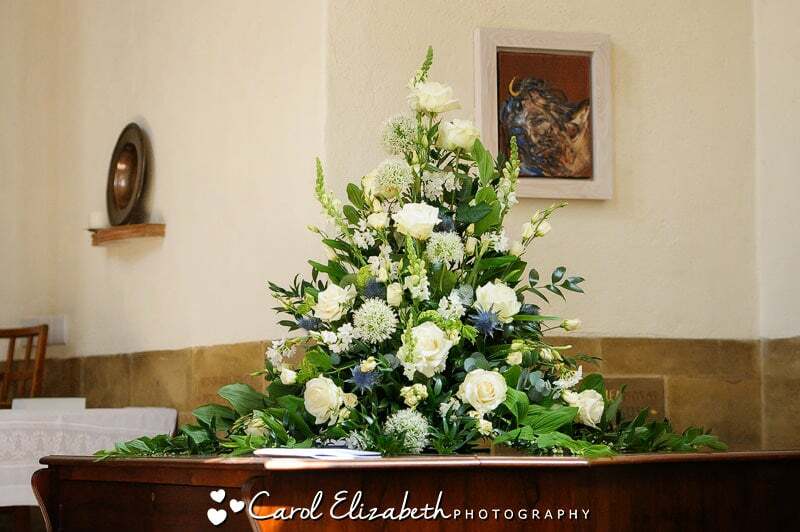 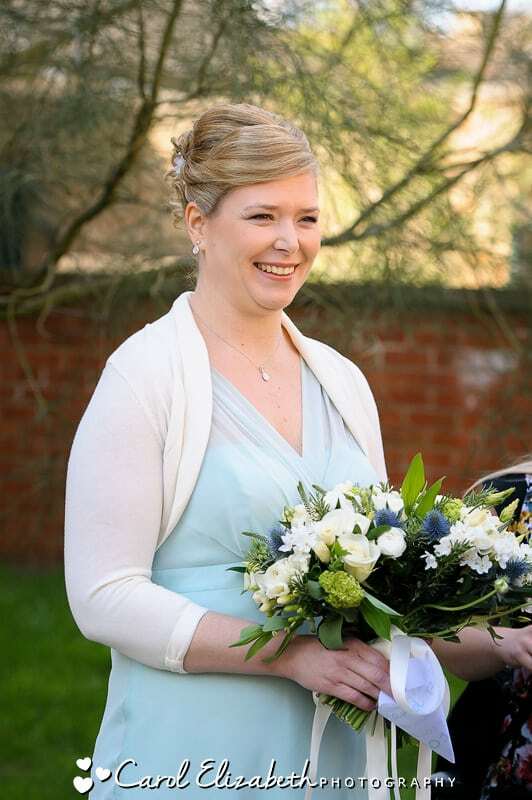 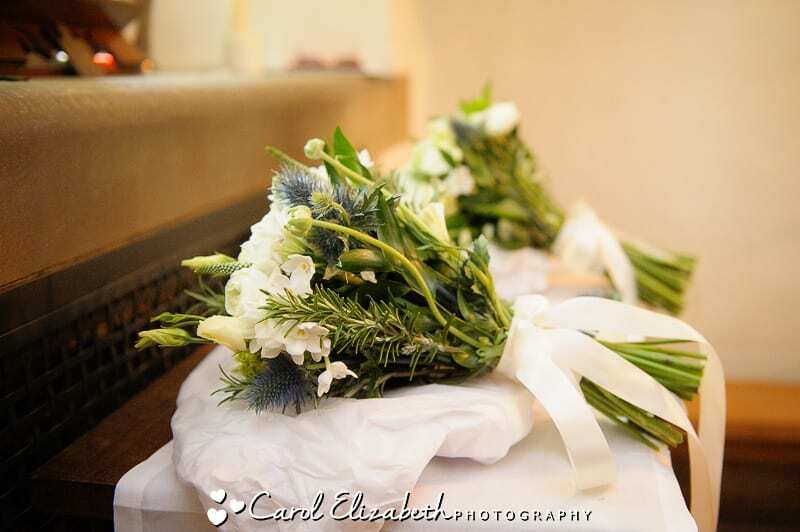 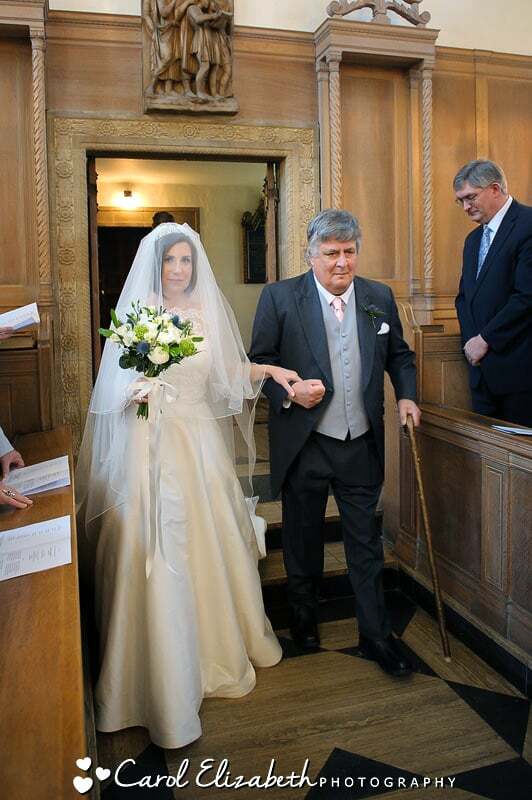 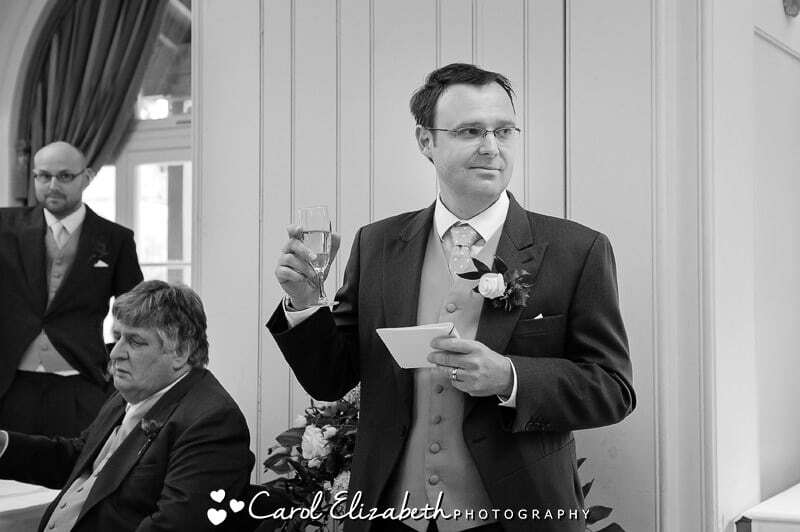 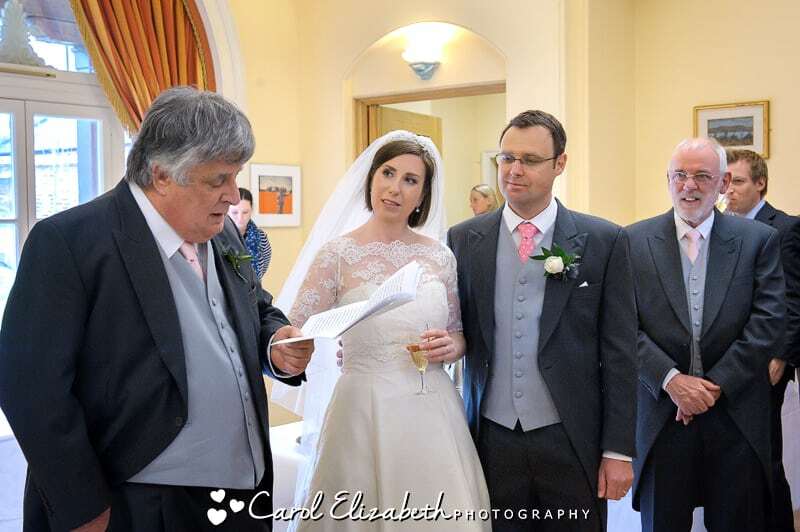 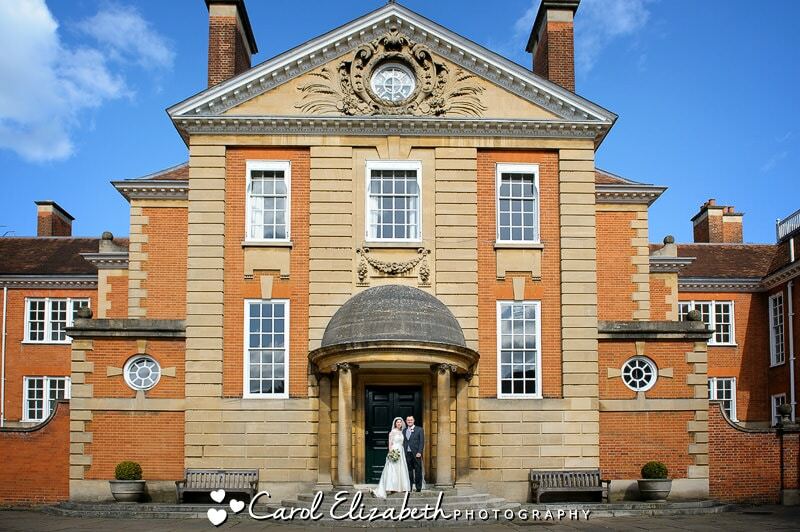 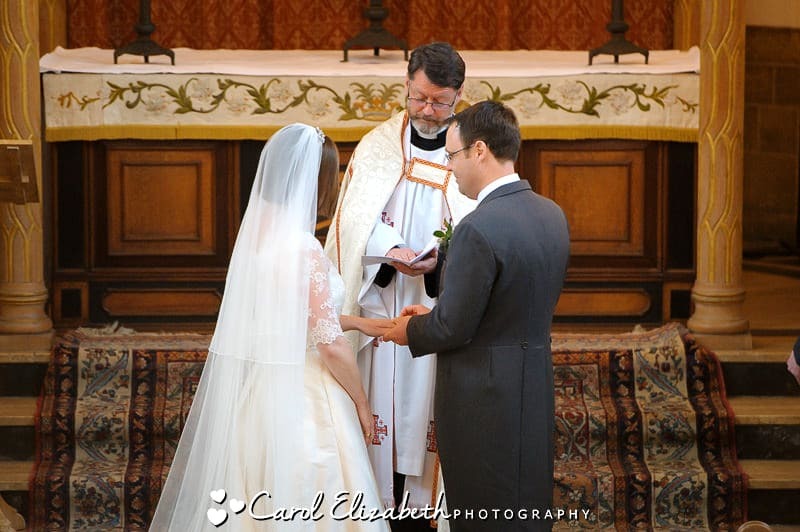 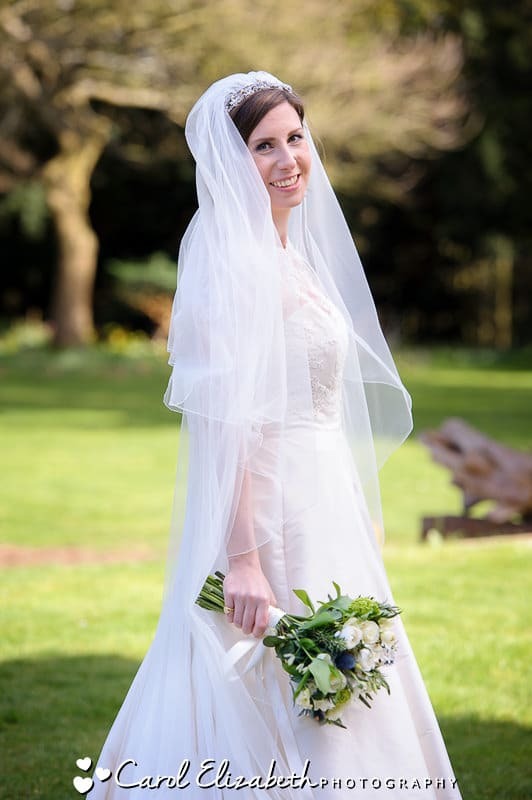 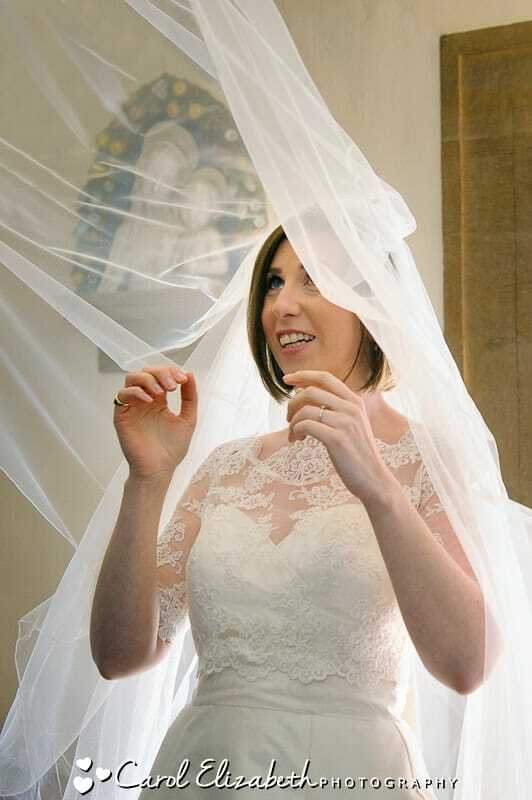 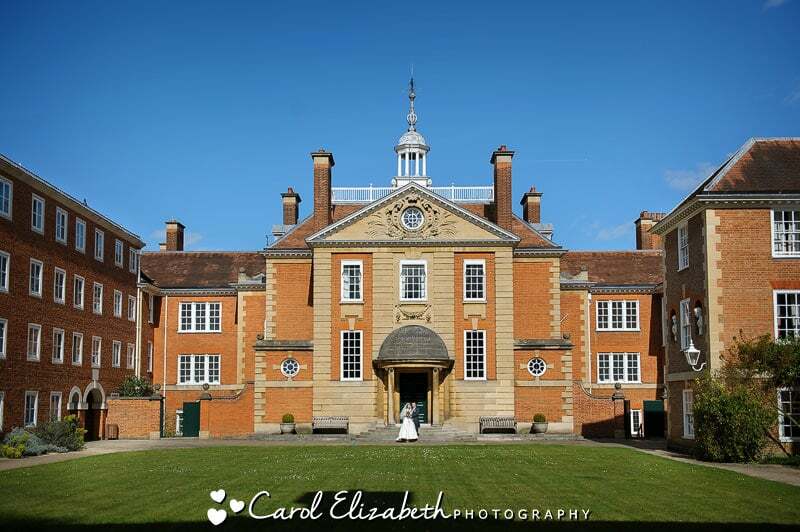 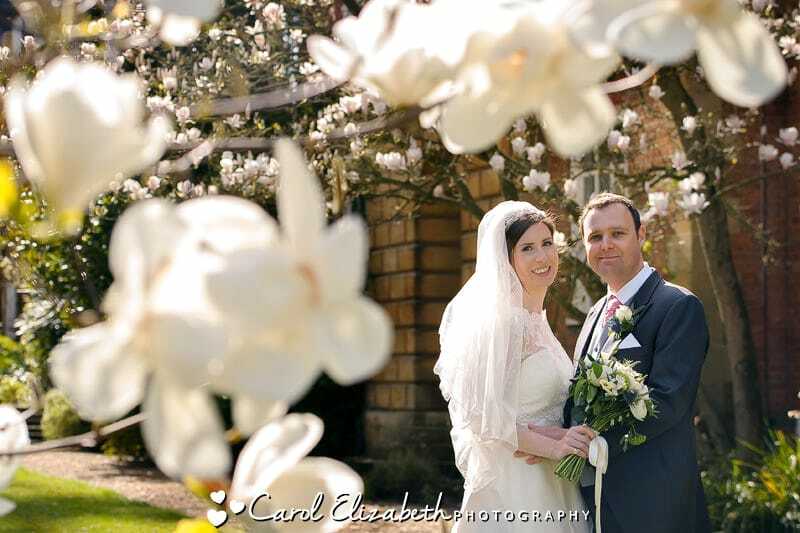 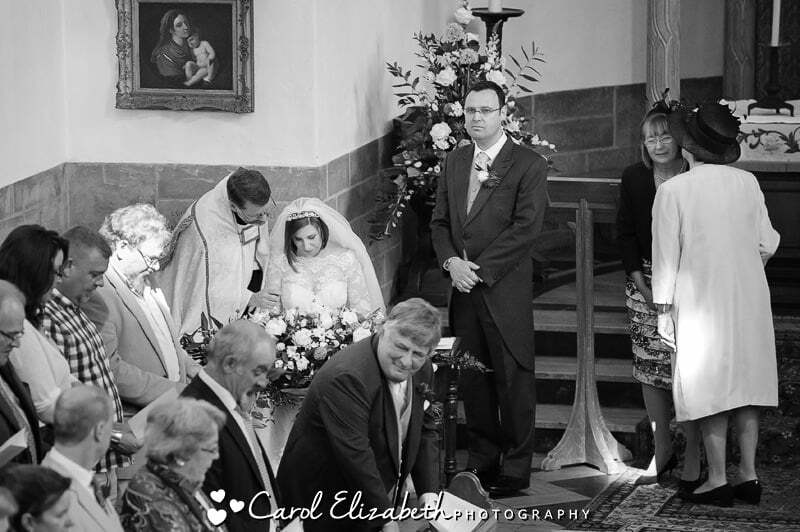 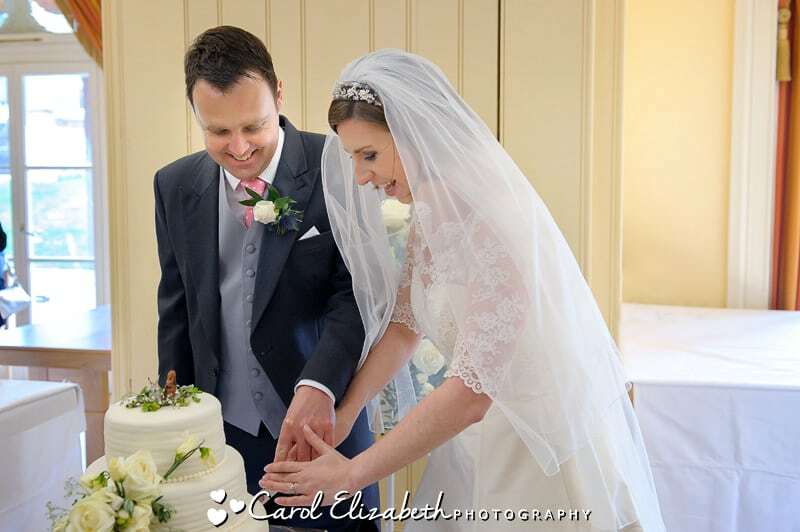 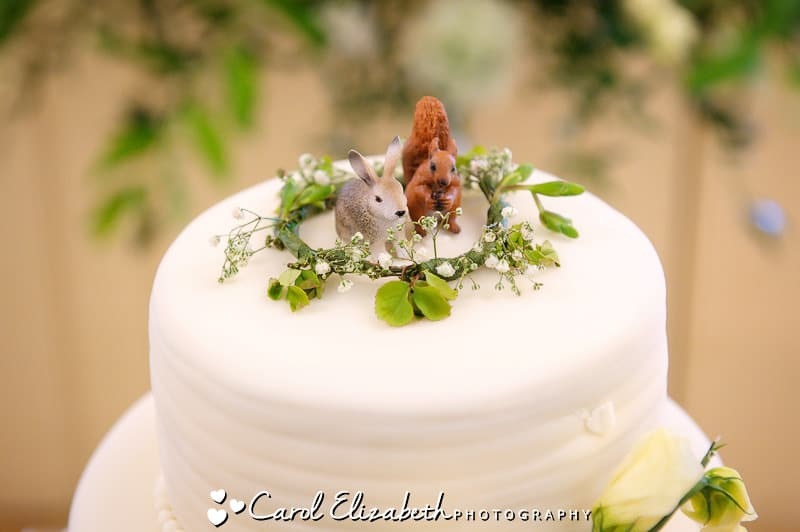 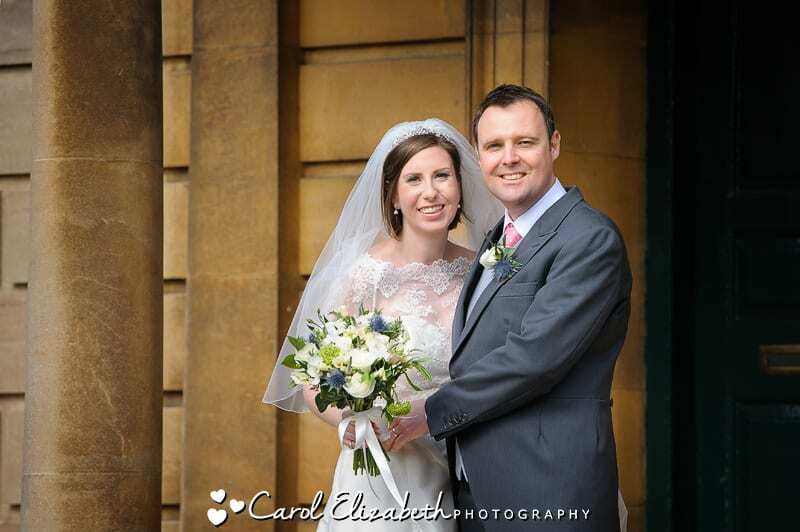 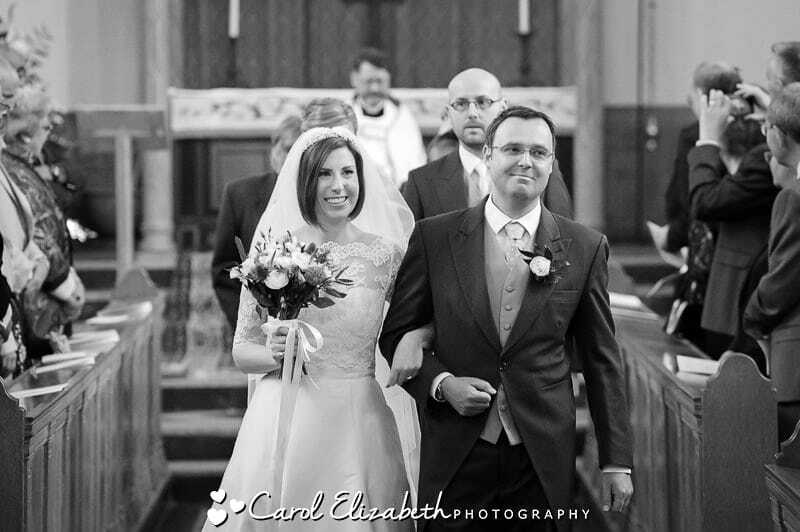 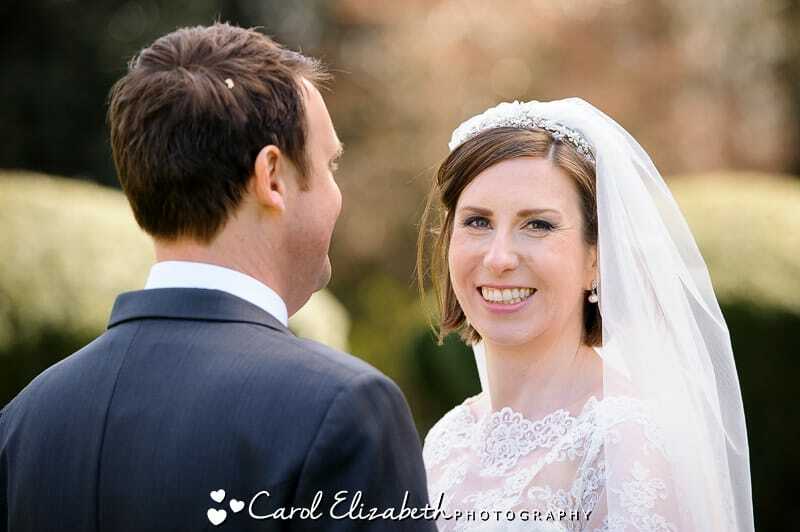 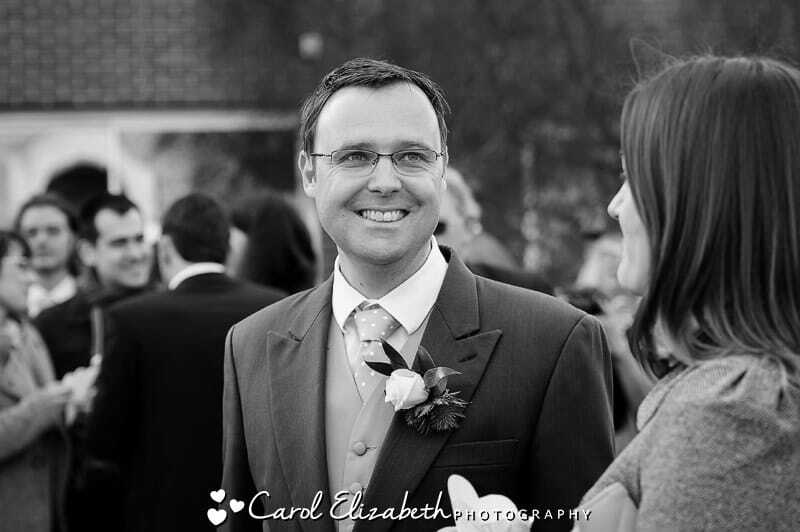 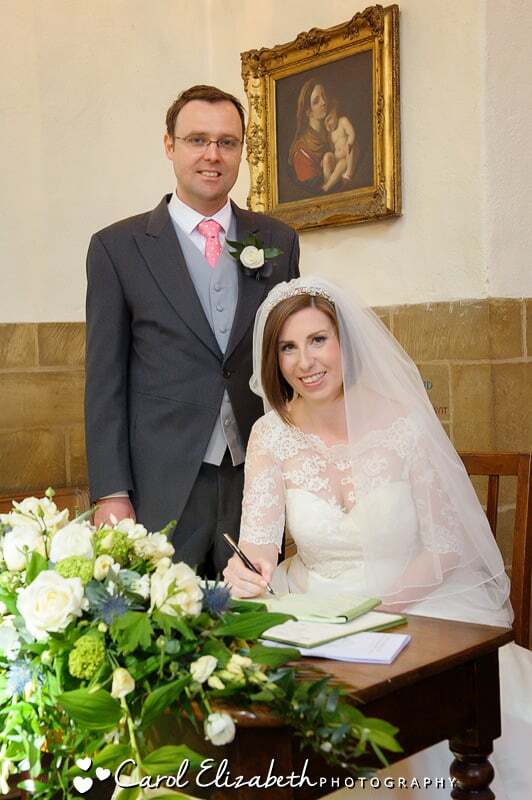 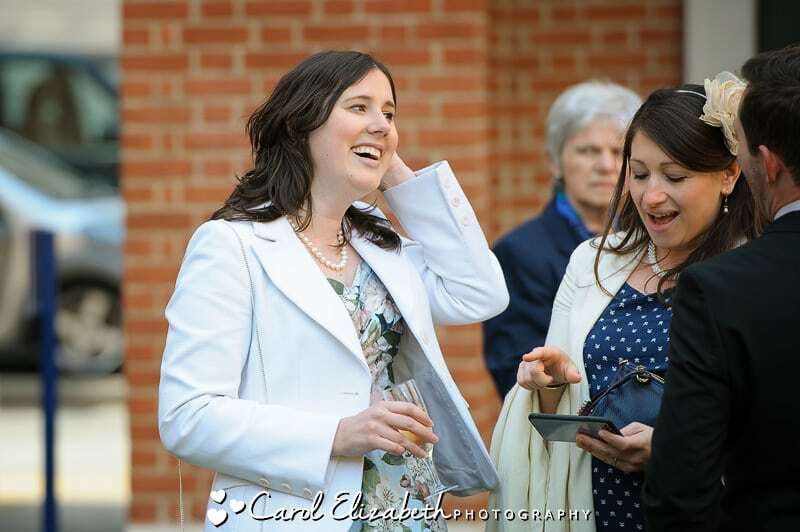 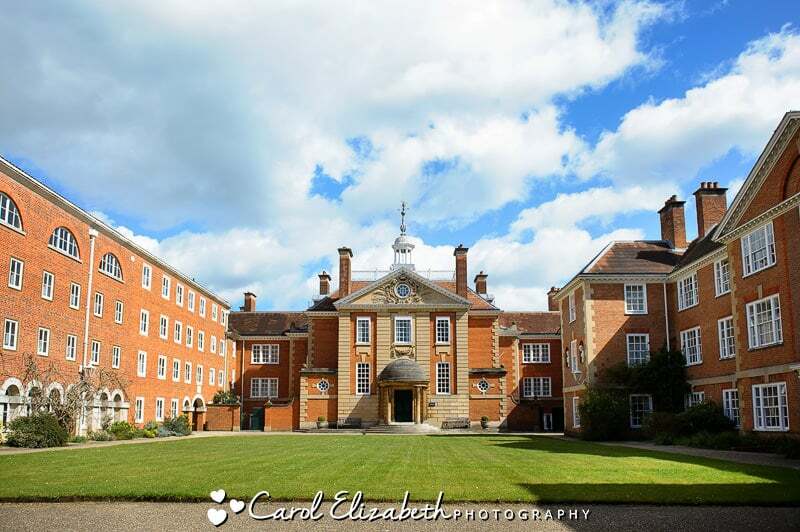 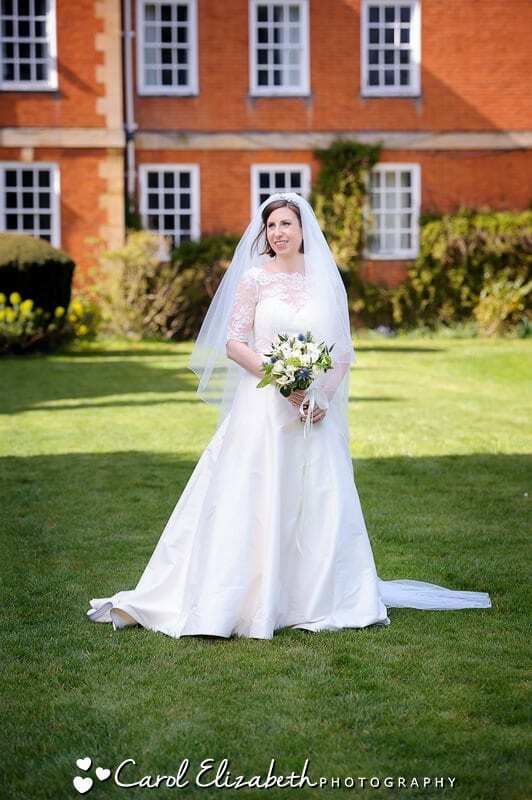 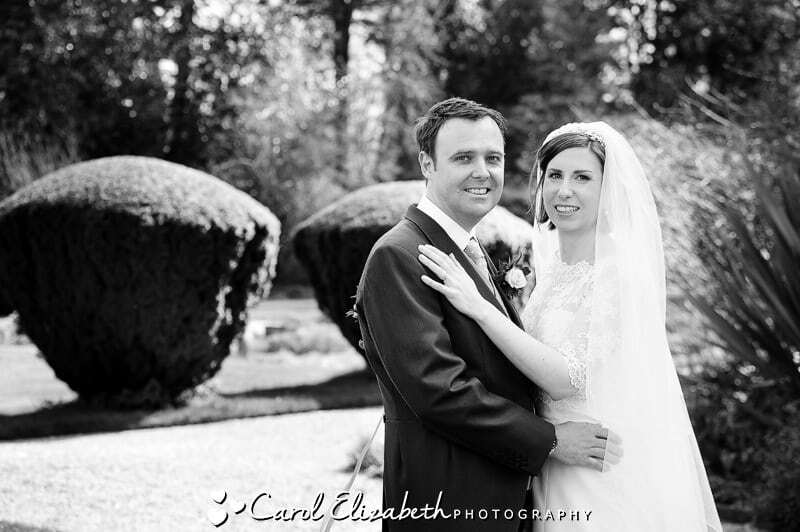 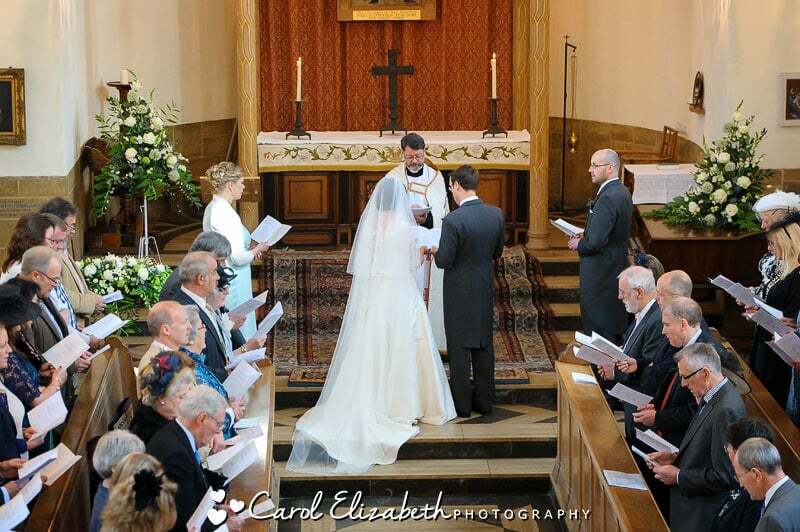 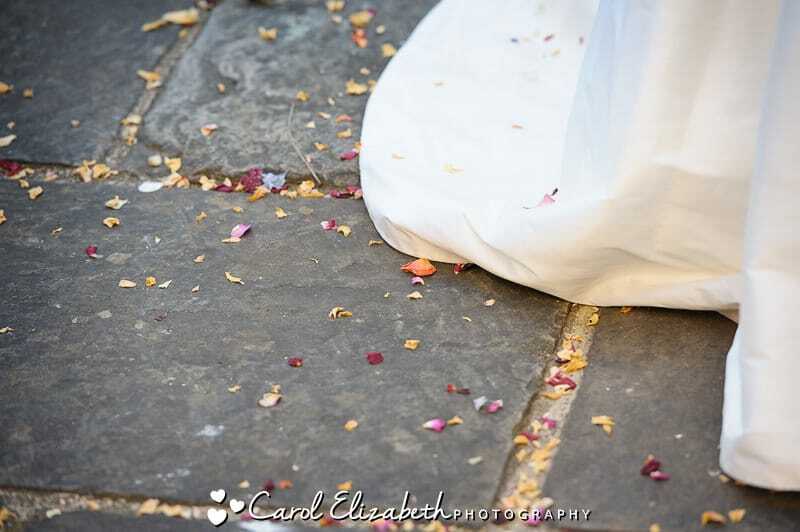 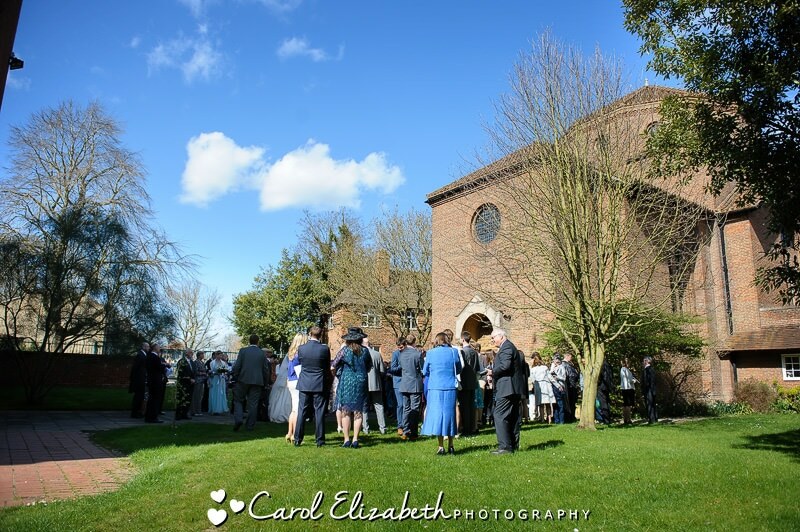 Please take a look at my information page for Oxford University wedding photography for plenty more photos! 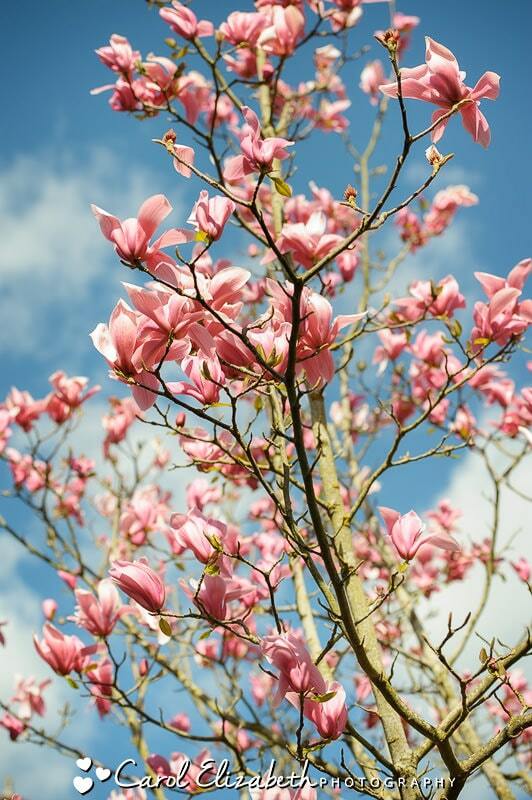 We had such beautiful weather, and the spring blossoms against the blue sky were simply gorgeous. 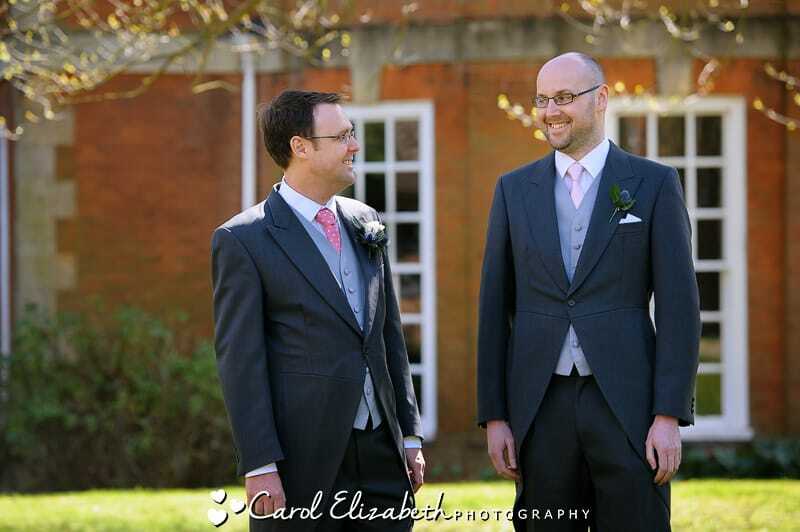 I spent some time with Robin and his friends and family before the ceremony for a few quick photos before Carrie arrived in her beautiful dress. 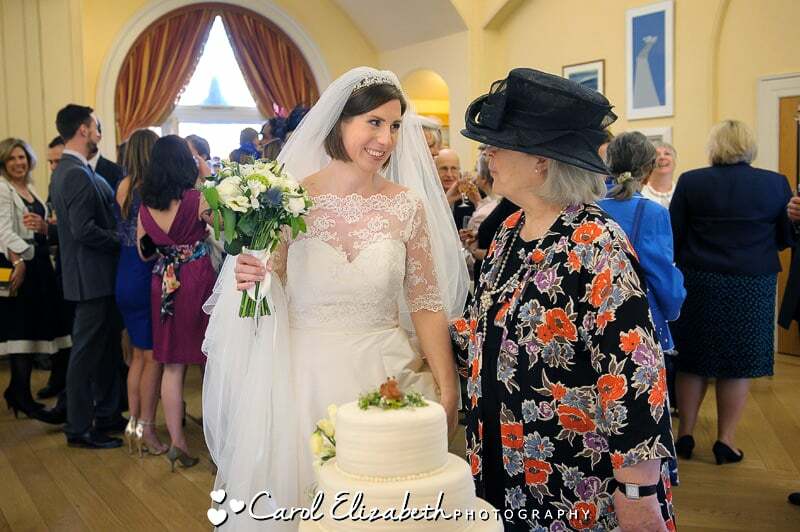 The ceremony was lovely, and I had a great view from the balcony of the guests and the ceremony, as well as the signing of the register. 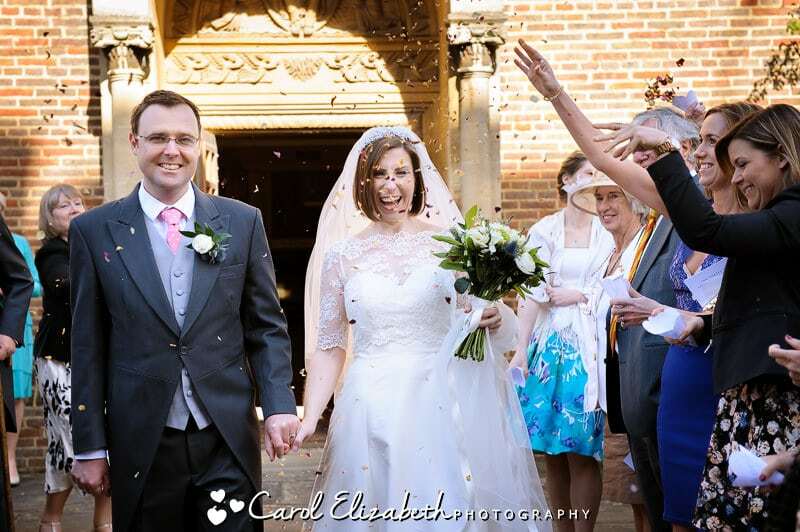 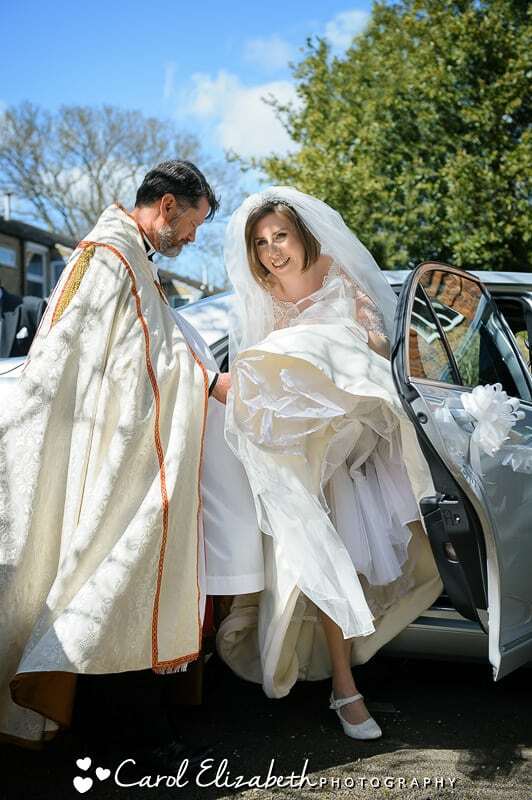 On leaving the chapel, the newlyweds were showered in confetti, it was such a fun moment! 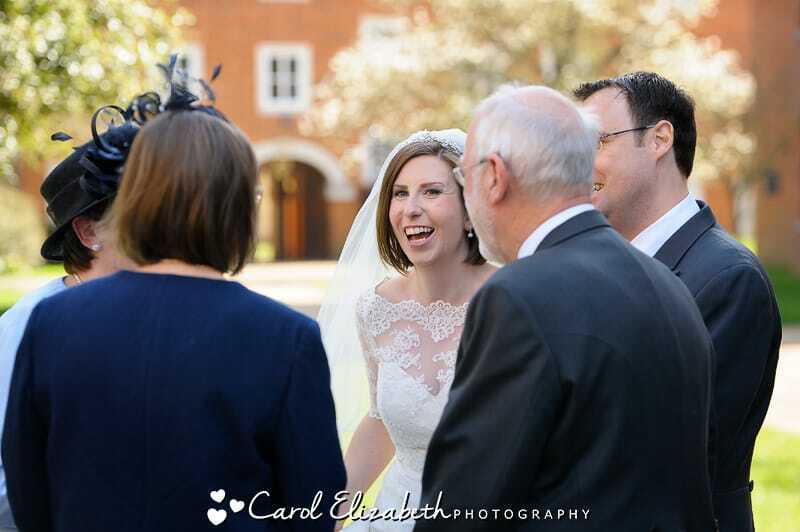 I always encourage the bride and groom to spend some time chatting to their guests and enjoying their day before allowing a few minutes for some portraits. 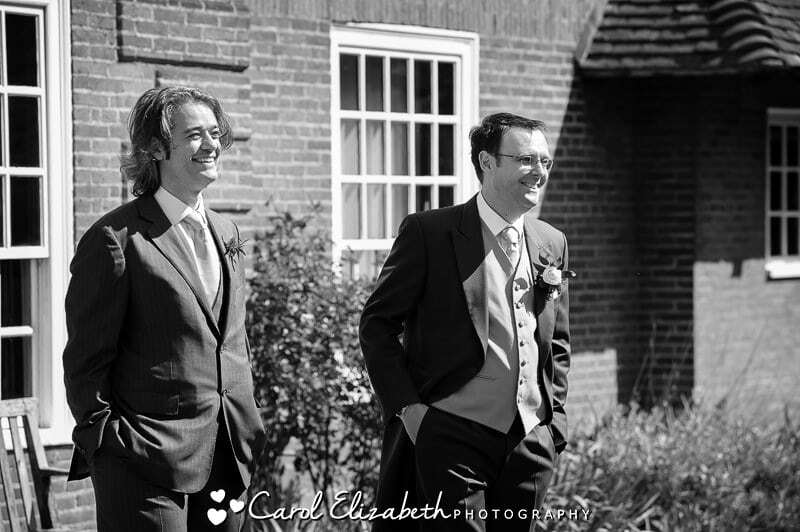 We had a short walk in the grounds before returning to the guests for throwing the bouquet, speeches and cutting the cake. 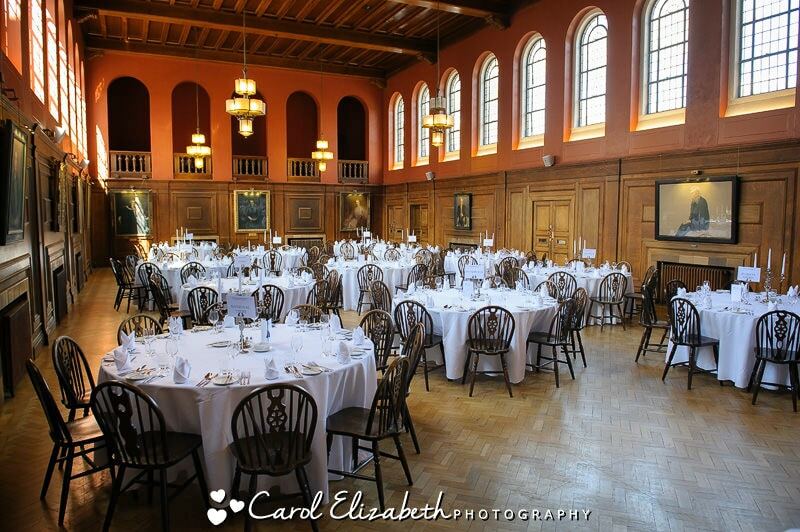 The dining hall was beautifully laid out ready for the wedding breakfast. 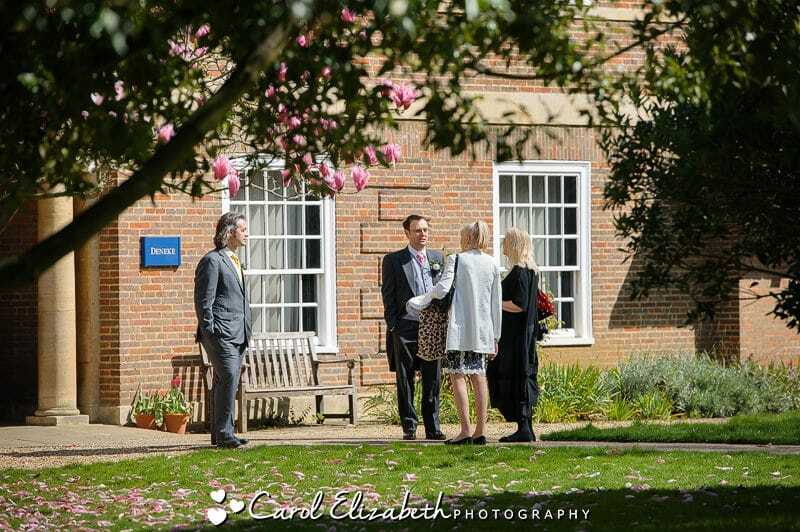 The grand venues in Oxford always have such a huge sense of occasion, and I do feel they add importance to such an important day. 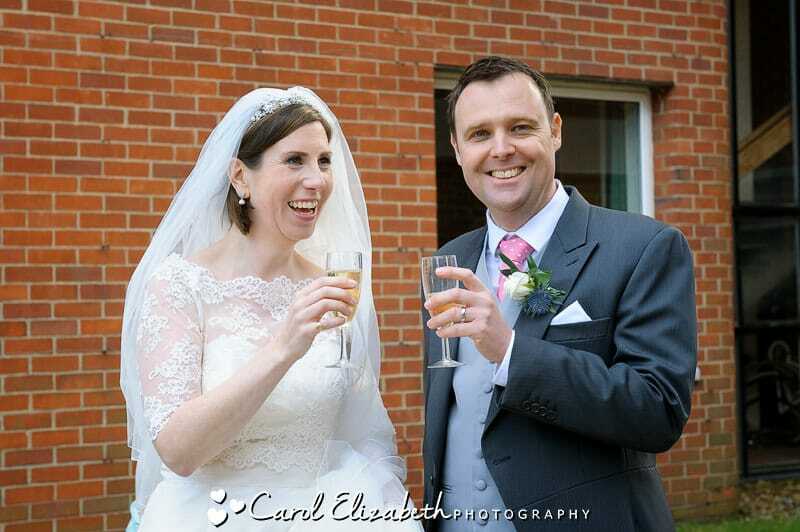 What a special and wonderful day with a great couple. 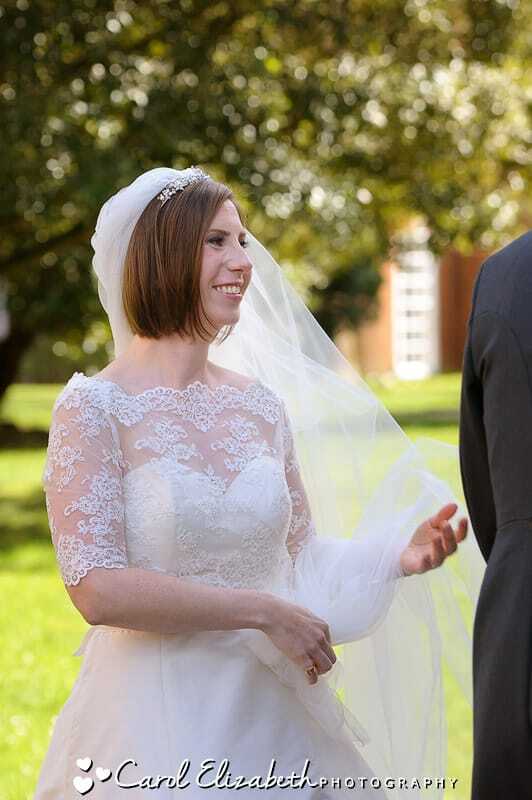 Wishing you a lifetime of happiness as you embark on a new adventure together!